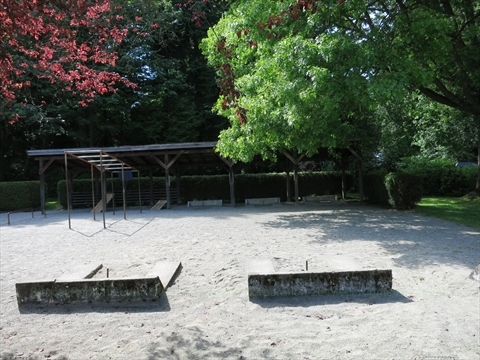 There are 3 horseshoe pits near the Brockton Oval in Stanley Park. 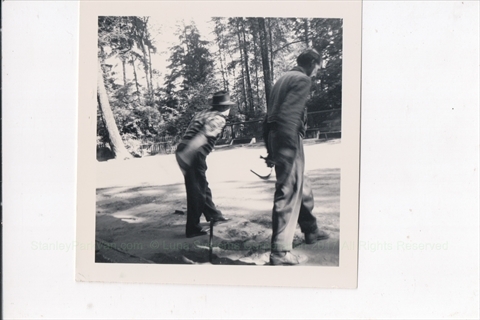 Horseshoes is a game that isn't played too much anymore, but is more known for the saying 'Close only counts in horseshoes and hand grenades'! 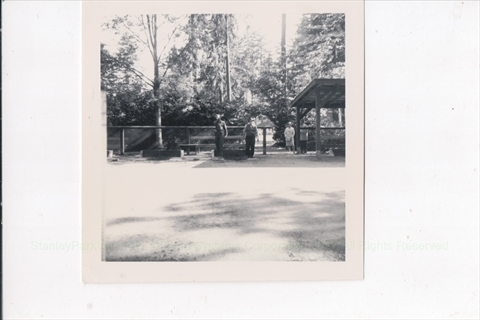 The BC Horseshoe Association believes that there was a Stanley Park Horseshoe club in Stanley Park until 1969 when it moved to Central Park in Burnaby. 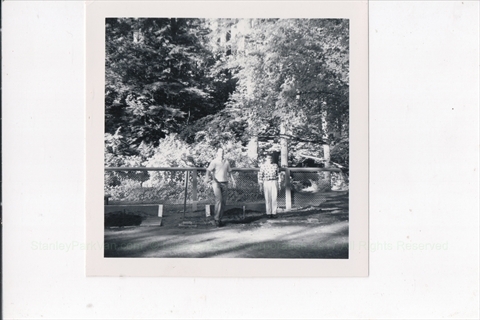 Here are some old photos from the 1960s! 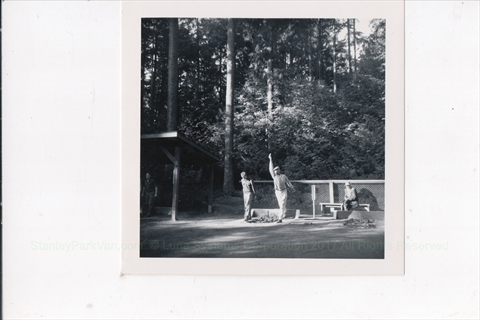 If you have any more information about the Stanley Park Horseshoe club please contact us! 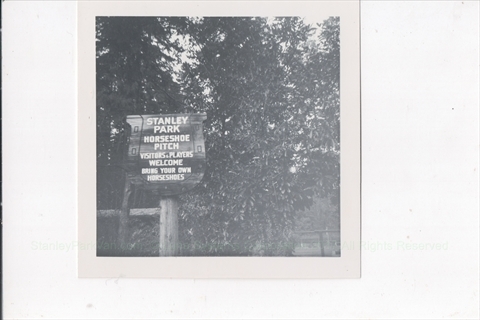 Stanley Park Horseshoe Club 1965? 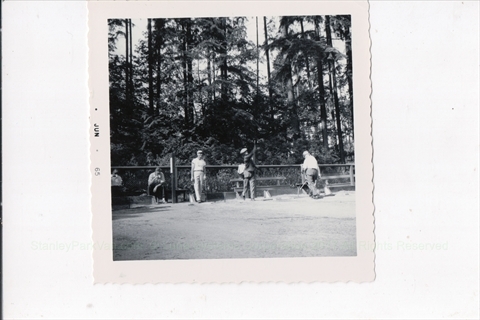 The horseshoe pits are located directly in front of the stands at Brockton Oval. 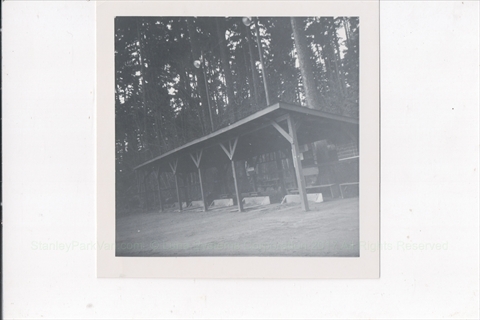 This is near the Totem Poles.